"Good rule of thumb with investment products - don't buy anything with 'structured' or 'linked' in the name." 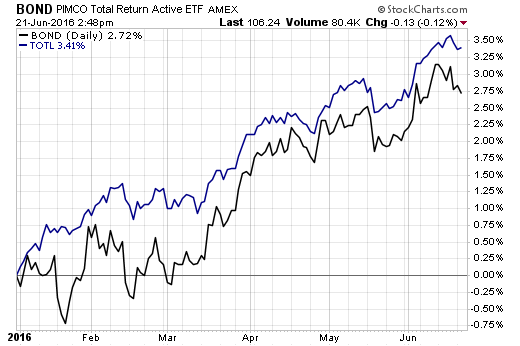 The SPDR DoubleLine Total Return Tactical ETF ($TOTL) is about to pass the PIMCO Total Return Active ETF ($BOND). You can support Abnormal Returns by visiting Amazon, signing up for our daily newsletter, liking us on Facebook or following us on Yahoo Finance, StockTwits and Twitter.